What is Operation Food Search? Established in 1981 to address the growing problem of hunger, Operation Food Search has become the largest distributor of free food in the St. Louis bi-state region helping to feed the area’s poor and hungry. How does Operation Food Search fight hunger? Each month, Operation Food Search distributes more than 3 million dollars worth of food and household items to nearby community partners that in turn feed more than 200,000 people every single month. About one third of the recipients are children. 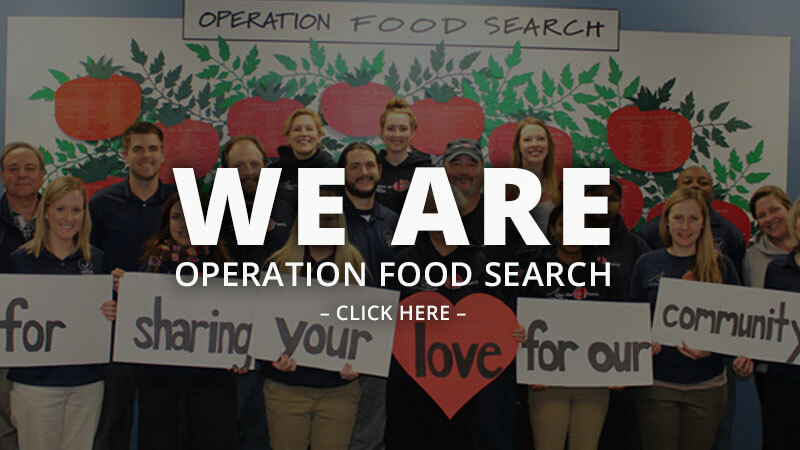 What are the programs and services of Operation Food Search? Food Distribution Program: The Food Distribution Program is the heart of Operation Food Search, where millions of pounds of donated food are sorted, boxed, and distributed free of charge to our member agencies. Hunger Hotline: This service operated 24 hours a day, 7 days a week to help people find emergency hunger relief in their neighborhood. Operation Backpack: This program distributes weekend backpacks of healthy, kid-friendly food during the school year to thousands of children in St. Louis area public schools. Nutrition Education: Fighting hunger with knowledge, our nutrition education programs work to teach people in our community about healthy eating, cooking, smart budgeting, and healthy lifestyle choices. Where does Operation Food Search get the food? Food and grocery products are collected from food drives, discounted purchases, donations from the grocery industry, manufacturers, and distributors. We also recover leftover prepared food from dining facilities such as employee cafeterias, hospitals, hotels, restaurants, schools and universities, and events. What kind of food is donated? Collected food is both perishable and non-perishable. It is a true win-win situation for everyone involved because it is food that is no longer saleable, but still nutritious, edible, and healthy. Does Operation Food Search accept home-prepared food? Unfortunately we are unable to accept food that is prepared at home. However, we are able to accept food from your professionally catered events. How does Operation Food Search distribute food? Food is distributed to our partner agencies. Perishable distribution days are Tuesdays and Thursdays. Non-perishables are distributed every other week on Monday, Wednesday, and Friday. Food pick-ups directly from our donors are also arranged. How can my organization become a member agency? We welcome agencies who are interested in forming partnerships. If your agency would like to participate, contact our Agency Relations Coordinator. Do hungry people eat at Operation Food Search? Operation Food Search is a food bank, not a food pantry. We do not directly serve food to hungry people, but rather distribute food to our member agencies, who in turn feed hungry people. If you or someone you know is hungry, contact our 24 hour hunger hotline to receive immediate food assistance. If I am hungry, how can I get food? If you are in need of food assistance, please call the Hunger Hotline at (314) 726-5355 x 3. How many individuals does Operation Food Search service each month? Every month, Operation Food Search serves more than 200,000 people in the St. Louis bi-state region. How is Operation Food Search funded? Individuals, corporations, foundations, and organizations all provide financial support. 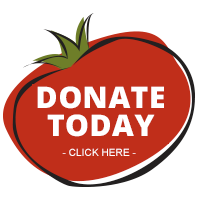 For every dollar raised, we can collect and distribute over $21 worth of food and services to the community. An incredible 98% of our revenue is used for program services. Join our circle of supporters. Visit our Donation page for more information and to make a gift. How do I volunteer for Operation Food Search? Volunteers with big hearts and a desire to solve hunger are always welcome. We are always looking for new volunteers with a variety of skills. Visit our volunteer page to find out more. Fun Recipes to Eat Your Fruits & Veggies!